The most recent figures on Scotland’s energy mix are a small step in the right direction, with renewables accounting for 29.8% of 2012 generation (don’t be misled by the consumption figures at the beginning there). The same data, however, shows that coal accounted for almost 25% of Scotland’s output. That figure will be significantly reduced for 2013, because Cockenzie closed in March of this year, a plant which amounted to about a third of Scotland’s coal-fired capacity. The remainder is almost entirely Longannet. 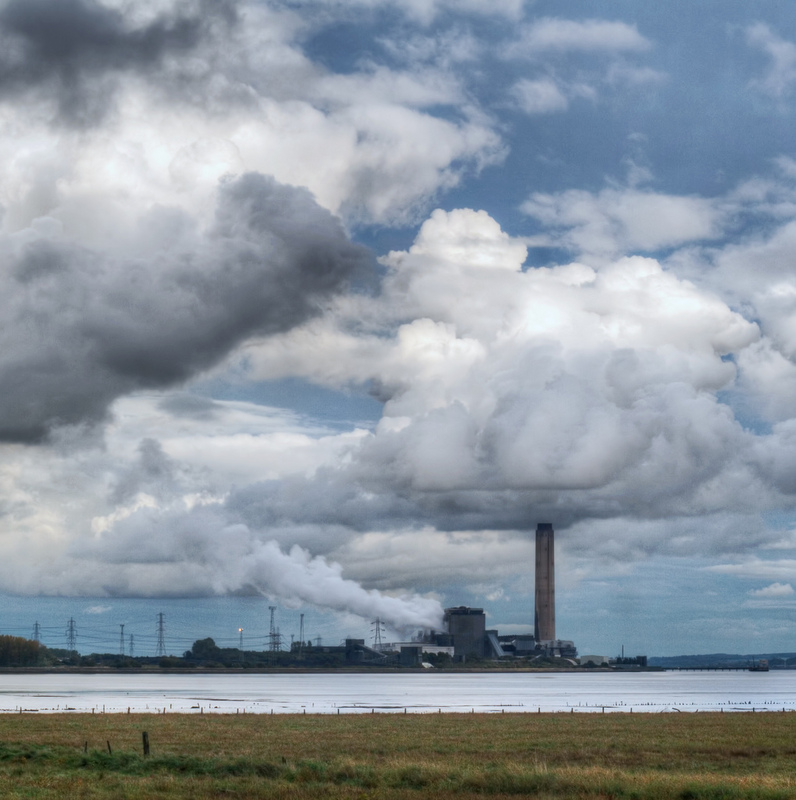 It’s Scotland’s number one source of carbon emissions, and it’s a killer: literally. Stuttgart University did the sums for the years by which coal shortens lives, and Longannet’s annual toll was substantial. The third key figure in there was that 26% of the energy Scotland generated in 2012 was exported, almost exactly the same amount as was generated from coal. Essentially, we’re burning vast amounts of coal at Longannet and massively aggravating climate change not “to keep the lights on”, but just to keep Iberdrola’s profits up. The climate doesn’t care whether coal’s burnt for export or domestic consumption. And no amount of renewable generation does a damn thing for climate change unless we use it as an opportunity to close down coal, oil and gas plants at the same time. The figures are clear: Scotland can’t afford Longannet. It needs to be shut down as soon as possible, and proper training and investment put in to support the hundreds of people who work there. And yes, coal plants must be shut before the nukes: their time will come. As a socialist, I believe in the power of collective action, both through the state and through individuals and communities acting in concert. I believe society would benefit from more public assets being acquired and then used intelligently for the public good, to redistribute wealth and support sustainability and innovation. These may not be fashionable ideas at Westminster, but the Common Weal project from the Jimmy Reid Foundation seems to have gained a fair amount of traction in Scotland. So here’s a modest proposal for a new institution in that vein. Perhaps we could call it The People’s Land. Ministers could begin buying up land of various sorts across the country and bringing it together to be managed better, operated on a commercial basis but with an eye on the long term rather than a fast buck for shareholders, maintaining the value and environmental integrity of the assets. We could start with neglected rural estates that could be run for the benefit of the local community, the environment and the taxpayer rather than absentee landlords. This wouldn’t be a substitute for land reform and direct community ownership – but it could be a good fit for other communities alongside the pioneering work being done in places like Eigg and Knoydart. And forestry – it’d be great to have a publicly owned forestry management body that wasn’t as obsessed with sitka spruces as the Forestry Commission is (although they’re getting better). The Forestry Commission also costs taxpayers £60m a year (2012 accounts, pdf, p38), even though they’re managing very valuable assets for us. This new body would be instructed to do the opposite, to contribute profits to public funds while also meeting stringent standards of community and environmental stewardship, like an ultra-modern cross between a social enterprise and a publicly-owned company – one that’s a help rather than hindrance. The kind of innovation the smart parts of the left and right should be able to support. The land in question wouldn’t all need to be at the picturesque end of rural Scotland either. This People’s Land approach could just as successfully be used with ex-mining land, and ways could be found to turn around places that suffered when the mines closed. We need to start supporting local businesses and communities in these areas again. After all, neither the market nor the state has done much for the people who bore the brunt of Thatcherite deindustrialisation. Maybe we could even start taking on land in our cities. Residential urban land is incredibly valuable, so it’ll cost a bit to get started, but right now those benefits accrue year after year to private owners. One day we’ll hopefully have a fair land value tax, but as an interim measure perhaps an initial investment in The People’s Land could even include money to buy a little of Scotland’s prime retail real estate. This may sound impossibly radical and idealistic, but with the will, it could be done. The substantial sums this kind of urban asset would then bring in, year after year, could then be used to help protect public services (or keep taxes down, depending on your political perspective – there’s something even for Tories in this radical socialism lark). Just like the rural properties I’m proposing, this urban land could then also be managed with the local community too, with a ruthless focus on the social, environmental and economic opportunities. It should operate at arm’s length to avoid becoming a puppet of successive governments, but should be scrutinised by and accountable to elected representatives. But let’s be even more ambitious. Scotland has the best natural assets in Europe for offshore renewables, and it could be in all our environmental and economic interests to have those developments managed sensibly, in a way that coordinates activity and ensures a substantial return to the taxpayer (and the utility bill payer) by charging developers for use of the seabed. In fact, it’s hard to see how else we’ll get the booming indigenous marine renewables sector everyone says they support. And what’s the alternative for developing our marine environment responsibly? Right now, twenty-five of Scotland’s thirty-two local authorities have a bit of coastline to manage. Just look at the map – even tiny Clackmannanshire has a bit of the Forth coast. Clearly they should still have a role to play locally, but how much better to have one body working with them, a hub of expertise, a central marine development body that’s kept separate from the regulating and planning functions of government to avoid conflicts of interest. Why should those twenty-five authorities all have to have every kind of expert required to protect the public interest and secure the benefits of offshore renewables? That’s a recipe for duplication and waste, and vastly different regimes for developers to have to get their heads round. This marine body could be a separate institution, but the values we’d want from it (community involvement, true sustainability, long-term planning, economic efficiency & commercial acumen) are the same we’d be expecting from The People’s Land. So why not roll it all up together? The good news is we don’t have to set up The People’s Land. It already exists, and we already own it. It’s just got an unfortunate name: The Crown Estate. It does most of those things already. Through it, we own 37,000ha of rural estates from Glenlivet to Whitehill in Midlothian, 5,000ha of forestry, around half the foreshore, the seabed out to 12 nautical miles, and even some of George Street and Fort Kinnaird retail park in Edinburgh. Each year, all its profits go to the UK exchequer. Last year, the Crown Estate put £250 million into the public coffers this way. Over the past ten years the total profit to us, the taxpayers, was £2.1 billion: a tidy wee sum for Ministers to spend on our behalf. Disastrously for its reputation, though, it has a name which makes it sound like the Royals run it. 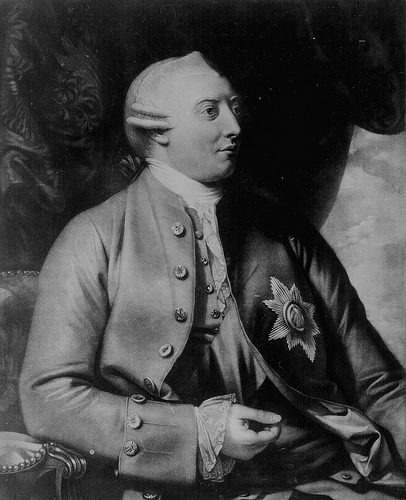 They used to, but that ended in 1760 when George III (pictured above) handed his assets over to the state in perpetuity in exchange for being given Civil List payments. For 252 years the Royal involvement was purely nominal, until some utter idiot called George Osborne decided that annual payments from Government to our bloated monarchy (i.e. the Sovereign Grant, the successor to the Civil list etc) would be set at 15% of the Crown Estate’s profits. Plenty of left radicals oppose the Crown Estate altogether, but it seems like a misunderstanding to do so. Even prior to Osborne’s changes, I wouldn’t say it’s perfect. In particular, there’s definitely room for more local democratic involvement in their activities, and like any other public body, they haven’t always made the right decisions. The stuff about maintaining the value and environmental integrity of the assets they manage isn’t formalised in law, and it should be, although in practice that’s already part of the thinking. But overall, it’s a first-class seed for one of the most radical and progressive institutions we could ever devise. An independent Scotland shouldn’t scrap the Crown Estate: instead we should retain our share, boost community involvement (especially around ports and harbours), and break the link with the monarchy forever. Oh, and rename it to avoid confusion. Disclosure: when I worked for a private PR consultancy the Crown Estate were one of their (and my) clients. Caroline will be the first MP arrested this year for reasons other than fraud, sexual assault and perjury. This alone is a feat to be applauded. What will be interesting is how the rest of the Commons reacts to one of their own being detained when they have previously shuffled uncomfortably in their shoes and looked the other way. Caroline Lucas is no George Galloway, and bundling one of Britain’s more popular MPs into the back of a police van is unlikely to make the government’s support for fracking any less dubious than it already is. The reason that Caroline was the only MP at the protest is that she is, at present, the only English Green MP. That may well change at the next election if people suddenly find gas wells popping up at the ends of their gardens and draw a blank when writing to their local parliamentarian. Rather shamefully, every single other English party has refused to properly assess the risks of the technology. The Lib Dems and Conservatives are all on board because their energy policy is such a woefully inept compromise of ill-informed dogma and private interest, and Labour have offered some typically non-committal assurances that they will look at the impact of fracking once it is underway. They tried the same with PFI ventures and we all know how that ended. So it has been left to Westminster’s solitary Green to stand up for what any right-thinking MP should be and protect the energy bills, water supplies and integrity of the English public’s landscape. How and where fracking might happen in Scotland is less clear cut. The Scottish Government currently exercises control over planning but not over energy. What’s more, the Scotland Act means that the Westminster government could feasibly overrule Holyrood if push came to shove. This might sound unlikely, but the dash for gas is so great that speculators will be looking longingly north. As we all know, there is pretty much nobody in Scotland to complain anyway. It was at least easier in the old days when you could just force people off of their land if you fancied using the natural resources. Neither should we rely on the benevolence of the SNP in safeguarding Scotland’s communities and natural resources. As Trumpgate has shown, the modern-day SNP behemoth is no more a friend of the small man than Labour or the Conservatives when money is being waved about. The biggest challenge will be to appeal to Alex Salmond’s past as an oil economist – hopefully even black-eyed Alex will see that the sums don’t quite add up. If the SNP or, in the future, Scottish Labour decide that fracking is a good idea they’ll be met with all sorts of opposition from Greens and non-Greens alike. As the German Green Party have shown in Stuttgart and elsewhere, riding roughshod over the rights of communities and public opinion does not make those pesky environmentalists go away. It instead leads to them having a workable majority in the local state parliament. MPs and MSPs all across the central belt would be wise to do a bit of research before they do as much as invite Dart Energy and the rest of Scotland’s fossil lobby around for a cup of tea and a slice of Dundee cake. Caroline Lucas’ arrest is a sign of the seriousness with which we should be taking Britain’s worrying energy politics, but also a concrete illustration of the commitment which Greens across the board have to doing as much as talking. You can pass as many climate change acts as you like, but when push comes to shove there is apparently only one group of parties in the British Isles and across Europe that has the courage to stand up and be counted. Hopefully there’ll soon be a lot more of them to count.